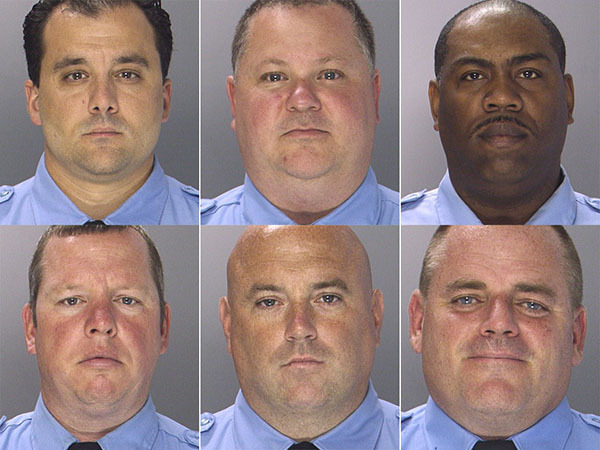 Six former Philadelphia police officers acquitted of corruption charges by a federal jury in May have won their jobs back through arbitration, a spokesman for Mayor Nutter confirmed Friday. Mark McDonald, the mayor's press secretary, said the former narcotics officers - Michael Spicer, Thomas Liciardello, Brian Reynolds, Perry Betts, Linwood Norman, and John Speiser - will get $90,000 in back pay and have their original badges returned. McDonald said five of the officers would be assigned to districts and would not return to the Narcotics Field Unit. Norman will be assigned to the impound lot.